Does Buying BPA-Free Plastic Matter? Chances are at least one (or five) people in your social circle have expressed concerns about eating from plastic containers and using plastic cutlery. But are these plastic products really as toxic as many people believe — and does buying BPA-free products really make a difference? 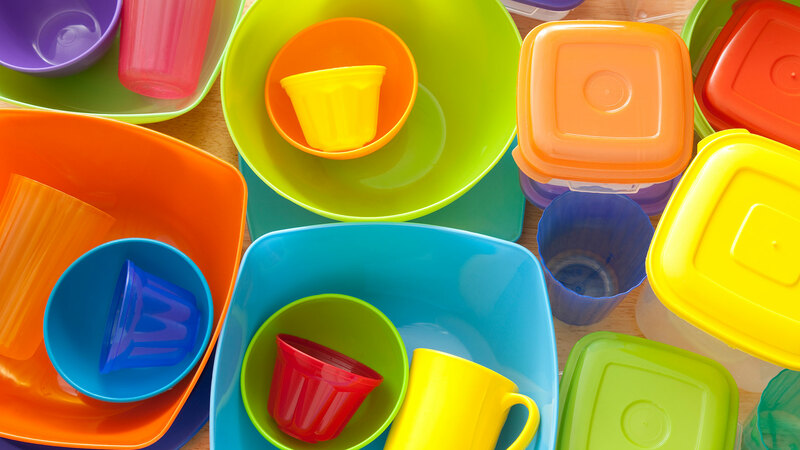 Dr. Steve Hentges, senior director of the Polycarbonate/BPA Global Group at the American Chemistry Council, tells SheKnows that polycarbonate plastic is frequently used to make reusable plastic containers, plates and cutlery because it's clear, light and shatter-resistant. Hentges explains that the controversy surrounding bisphenol A (better known as BPA) comes from claims that low levels may be harmful to our health — but he says research tells a different story. More: The FDA Approved These 8 Questionable Additives — but Are They Really Safe? "A comprehensive research program conducted by the U.S. government and aimed at resolving remaining uncertainties about BPA safety has recently reached a conclusion," Hentges says. "Based substantially on this research, which includes approximately 30 studies, the FDA answers the question 'Is BPA safe?' with a clear and unambiguous answer: 'Yes.'" Pediatrician Dr. Neela Sethi Young acknowledges the FDA findings but remains wary of products that contain BPA. "There has been previous data suggesting that BPA can have negative effects on the brain and on the prostate glands of fetuses, infants and children," Young tells SheKnows. "It has also been reported that BPA can lead to higher blood pressure." Young is a proponent of buying BPA-free products, noting that it's fairly easy to find them and they have the added bonus of being environmentally friendly. "I believe that we as a society should decrease our use of plastic given its negative effects on our environment and try to move towards reusable containers as much as possible," she says. "Decreasing our carbon footprint will help us all in the future." But from a health standpoint, the FDA has spoken, and Hentges says that buying BPA-free products doesn't matter for consumers. "The proliferation of BPA-free labels is an indication that some product manufacturers have decided to replace materials made from BPA or simply to avoid them in the first place," he explains. In that sense, Hentges says that the purpose of a BPA-free label may be more of a sales and marketing ploy than an earnest attempt at consumer transparency. "The manufacturer may be trying to make you think that the product is somehow better without BPA," he says. Hentges also points out that the BPA-free labels tell us what the product doesn't contain, but fail to provide information about what it does contain. So although the label is factually accurate, it doesn't necessarily provide a complete or helpful picture. "Manufacturers of BPA-free products are replacing materials made from BPA, which has a 50-year track record of safety and high performance," Hentges explains. "In light of the results of the CLARITY study, which demonstrate that BPA has very little potential to harm us even when we’re exposed to it throughout our lives, avoiding BPA doesn’t seem to make a lot of sense." Although there's certainly no harm in purchasing BPA-free products, according to Hentges and the FDA, there's no need to fret or panic over the safety of using plastic containers and cutlery. But in the interest of being kind to Mother Earth, it's probably best to use these products in moderation.